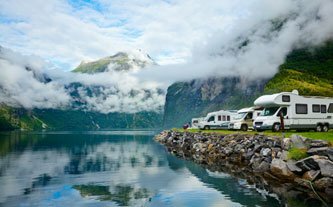 You can avoid these charges by purchasing Authentik Canada cancellation protection for 4.5% of the total RV rental cost. Note that this premium of 4.5% will not be refunded in the event of cancellation. The RV rental charges are fully refunded. Cancellation protection must be purchased within 72 hours after reserving the rental (i.e. after paying the deposit). To purchase, simply tick this option when reserving on line using our RV search engine.